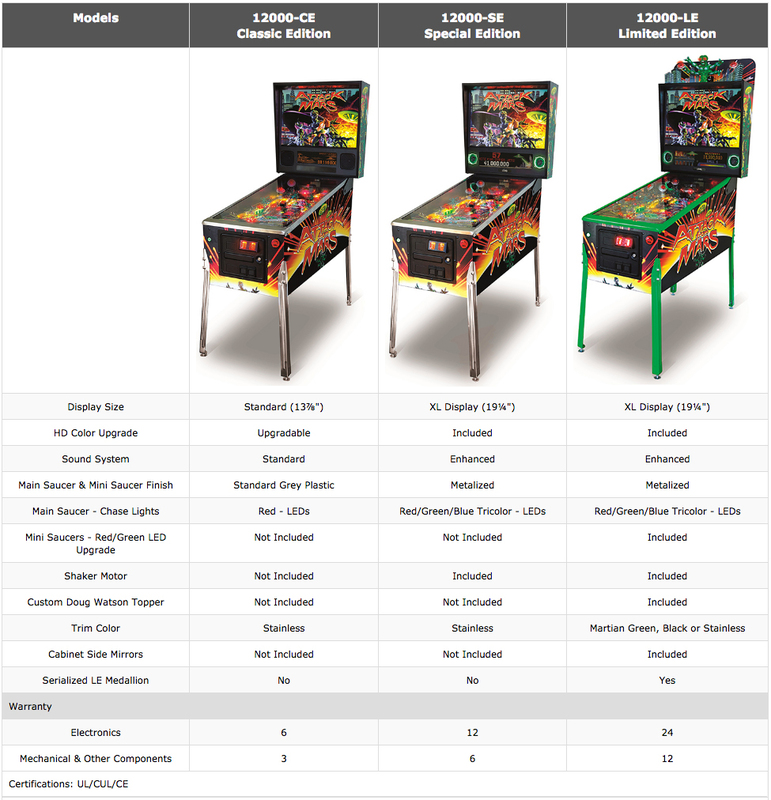 PLANETARY PINBALL SUPPLY will be taking deposits starting Friday 3/24 !!! 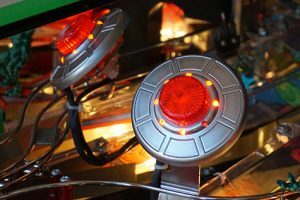 – call us: 408-891-7878Check out the Chicago Gaming AFMR page here. 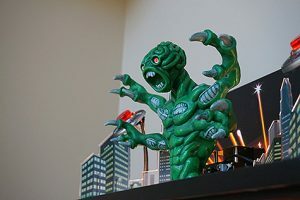 Doug Watson, the creator of the original Attack from Mars art package, was commissioned to design the new topper. Watson hand sculpted the Martian from which the molds were created to produce the new roto-molded Martian. The Martian is animated. Watson also created the other printed topper elements. tri-color LEDs. 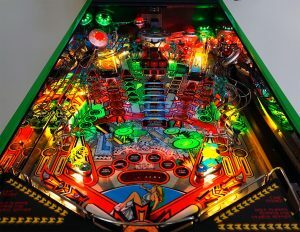 The tri-color LEDs display all new light shows which have been integrated into the gameplay. 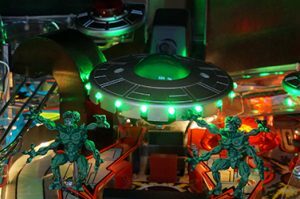 All six mini saucers on the LE will feature never before seen green and red dual color LEDs. 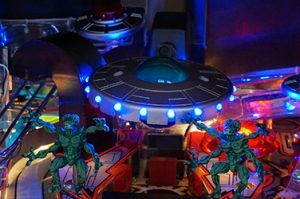 All six mini saucers are controlled independently and tightly integrated into gameplay. Sound is a crucial component of the player’s experience. The system’s class D digital amplifier powers two 120-watt poly-cone coaxial speakers and a single 8″ 190-watt poly-cone woofer to provide an unprecedented immersive audio experience. Additionally, owners are now able to control the balance between the speaker panel and the cabinet woofer. Whether you prefer thumping bass or something more traditional, you are now control your audio experience. The speakers are illuminated with red, green and blue tri-color LEDs. These are utilized to create lighting effects which have been integrated into gameplay. 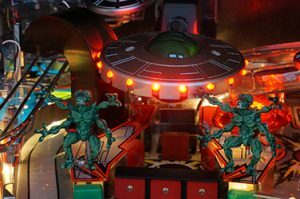 ATHYRIO GAMES has created all new full-color display artwork, reimagined within the framework of the original Bally display artwork at four times the resolution. Nearly 2,400 frames have been painstakingly animated to create a display that features full color and four times the number of dots as the original Bally game. 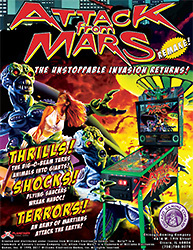 Planetary Pinball Supply is an authorized Attack From Mars™ Remake dealer. This entry was posted in Attack From Mars Remake! (AFMR), PPS Remake News! (AFMR, MMR) on March 25, 2017 by Rick Bartlett. 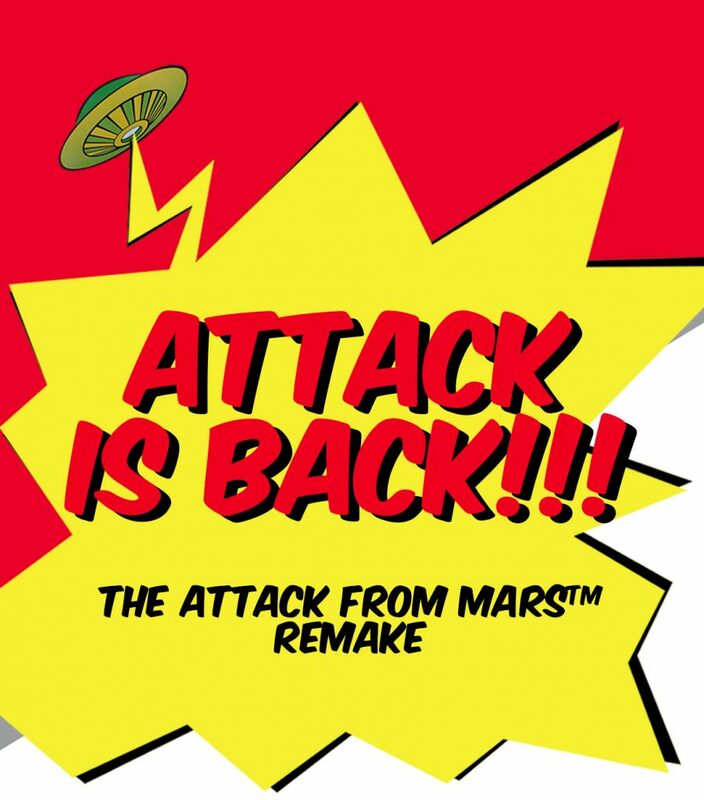 Following on the success of the Medieval Madness™ Remake, Chicago Gaming Company brings you the Attack From Mars™ Remake (AFMR). You will be blown away by the all-new features in this game! PPS IS TAKING DEPOSITS … Starting March 24th 5PM CST. If you are interested in a game from PPS (authorized AFMR reseller) click HERE! 3 different invasions are imminent! 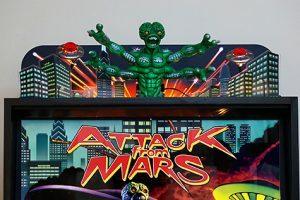 The Attack From Mars Limited Edition is pictured below…there are different trim options which will be announced soon. This entry was posted in Attack From Mars Remake! (AFMR), PPS Remake News! (AFMR, MMR) on March 19, 2017 by admin.